There are many brain boosting foods out there that can actually help to improve memory and reduce the risk of dementia and Alzheimer’s disease. Studies show that there’s a correlation between the foods people eat and their rate of getting Alzheimer’s or other forms of dementia. 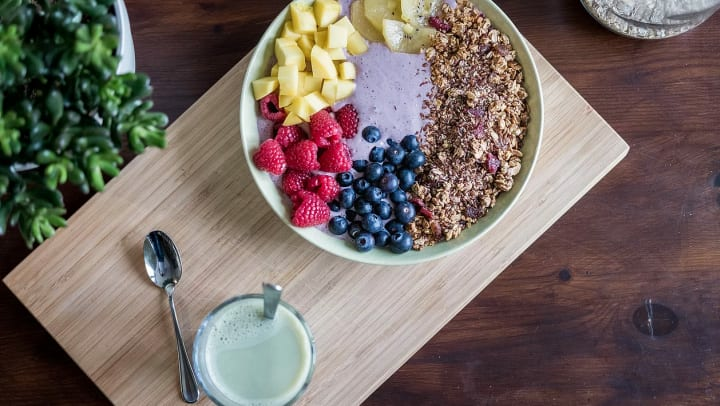 Food is such an essential part of living a healthy and active lifestyle, it’s no surprise that it can have such a significant impact on the brain and cognitive health. The brain consists of 60 percent fat, which insulates the nerve tracks. If that fat wasn’t there, our mental state would begin to decrease. That’s why it’s so important to know what kind of fats and brain boosting foods help keep your brain in check and fully functioning. In this blog, we will cover all the best superfoods to eat in order to enhance the health of your brain and prevent memory related diseases. Because spinach, kale, and leafy greens are high in antioxidants and fiber, they’re a fundamental part of a healthy diet. Plus studies have concluded that vitamin C, which is found spinach, can help prevent dementia. Research also shows that people that eat more leafy greens over time score higher in memory and verbal tests. Yes, we said chocolate. Both coffee and chocolate have caffeine, which has been proven to help enhance brain functionality and memory. Dark chocolate also consists of flavonoids, which help the body’s circulation process. Flavonoids could help slow the effects of dementia down and increase cognitive ability. Then spices such as nutmeg, turmeric, and cinnamon contain a unique compound that benefit the brain. Turmeric also contains curcumin, which is said to help get rid of plaque that forms in the brain due to amino acids. Fatty fish, (which includes salmon, sardines, and mackerel to name a few), helps lower blood levels of beta-amyloid. This is a protein that is said to play a part in Alzheimer's. The fatty acids found in fish could even slow down the declining rate for seniors with Alzheimer’s. To see the best results, it’s suggested to eat 8 oz. of fish per week. Walnuts, almonds, pecans, hazelnuts, and flax seeds all contain Omega-3 fatty acid, which is the good kind of fat that helps your brain function. Studies also show that walnuts help to improve motor coordination and memory. Plus they consist of vitamin E and flavonoids, helping the brain even more. Strawberries, blueberries, raspberries, really anything that ends is “berry” is good for your brain. That’s because berries contain polyphenols, which is a certain type of antioxidant that can stop inflammation. Once inflammation is ceased, your brain cells can then function better. Berries can also help people process information better. Oils, such as coconut and olive oil, also play a part in the fight against Alzheimer's and dementia. Coconut oil acts as an antioxidant and natural antibiotic. It also boosts ketones, which can help enhance your cognitive capability. Olive oil has polyphenols in it, which as we mentioned above, has a positive impact on the brain. At Village at Belmar, we offer plenty of brain boosting foods and nutritious options at the Village Bistro. We know how important it is to provide healthy choices that offer a beneficial long term effect for our residents. That’s why we offer salads, wraps, sandwiches, and other healthy options. If you’d like to learn more about Village at Belmar and our senior living community, give us a call today at 720-709-1472.